Size: 400 Count. Wipe without worry. It’s a problem as old as time: babies' most sensitive places are also the messiest. About time for these hydrating, skin-nourishing wipes-gentle enough for faces, hands and bottom places. With a thick, soft texture and always moist (thanks to the pack design) material. So wipe, baby, wipe. 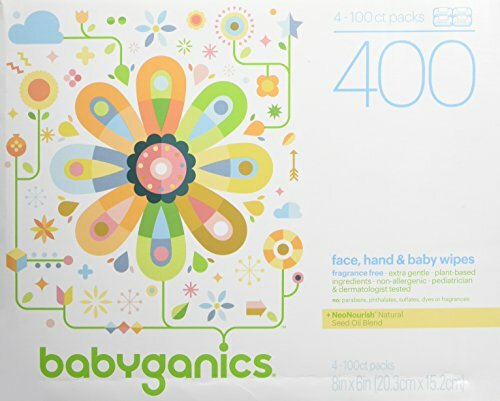 If you have any questions about this product by Babyganics, contact us by completing and submitting the form below. If you are looking for a specif part number, please include it with your message.